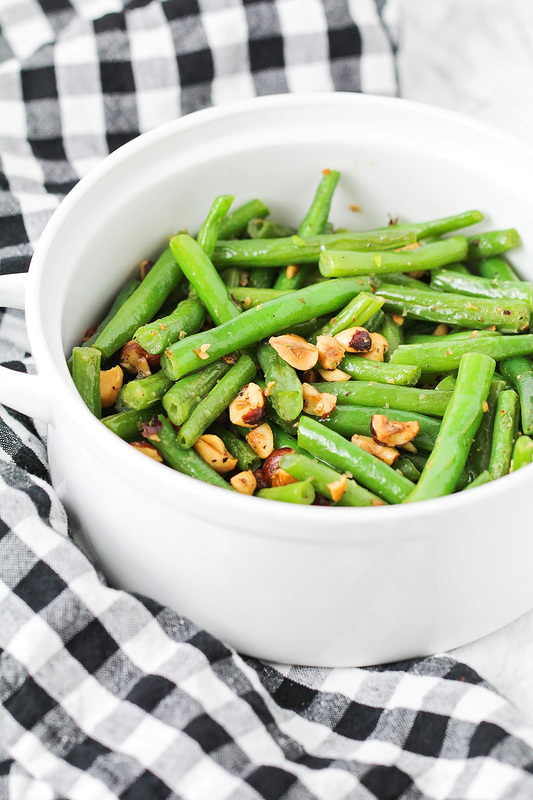 These flavorful and delicious hazelnut green beans are the perfect side dish! Usually I just roast my green beans in the oven with a little olive oil and salt and pepper, but I was inspired to try something new after eating some absolutely amazing green beans at a local restaurant for my birthday. They were cooked in browned butter, with some toasted hazelnuts on top, and they were totally divine! 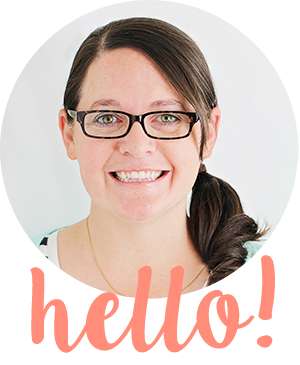 I replicated the dish at home, with a few minor tweaks, and they turned out absolutely amazing. 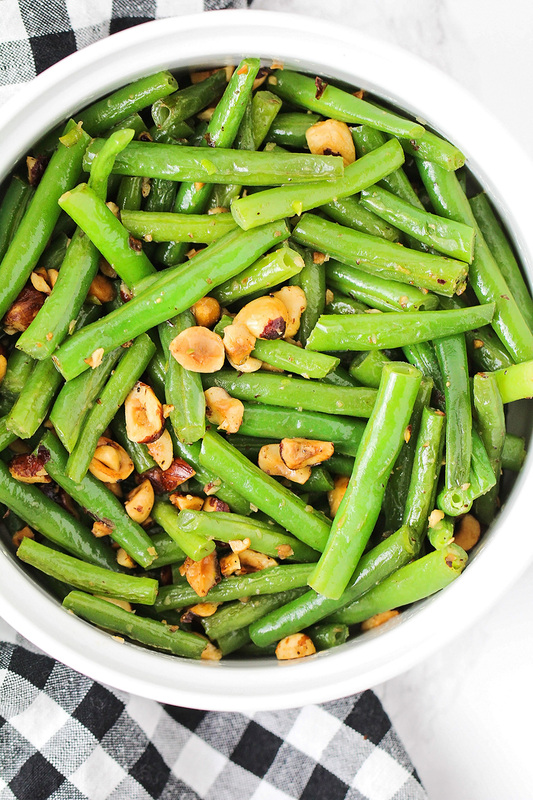 The flavors in the hazelnuts and the green beans complement each other perfectly. These green beans are so tender and flavorful, and incredibly delicious. 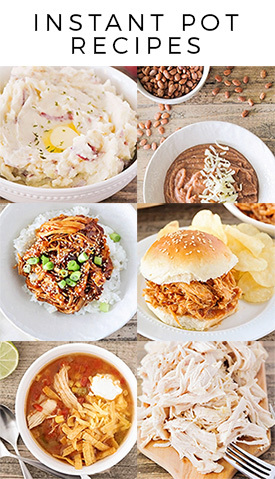 Best of all, they only take about 15 minutes to make, which makes them perfect for a busy night! Add the green beans and water to a large skillet over medium heat. Cover and cook the beans for 8-10 minutes, until bright green and softened. Take the lid off the skillet and add the butter and olive oil. Cook, stirring frequently, until all of the water has evaporated and the green beans are starting to iron. Add the hazelnuts to the skillet and cook for an additional 2-3 minutes, or until toasted. Serve hot.